The last Dodge Demon and Viper sold as a package deal for seven figures, and every penny went to the United Way charity. Fiat-Chrysler announced Monday that its "The Ultimate Last Chance" bundle, consisting of the final Dodge Challenger SRT Demon and Viper, brought in more than $1 million at the Barrett-Jackson Northeast Auction in Connecticut. One-hundred percent of the hammer price for this pair of hot Dodges went to the United Way organization, a charity that focuses on improving education for communities internationally. The winning bidder walked away with the last of the 3,300 Demons built during the car's first and only model year, as well as the last Viper ever made, a special example equipped with the Extreme Aero Package. Both cars came with unique badging and an exclusive Viper Red exterior color that pays tribute to the original Viper RT/10. The sale also included some Fiat-Chrysler-branded swag and authenticity kits for the cars containing certificates of authenticity, build sheets, and lots of photos. 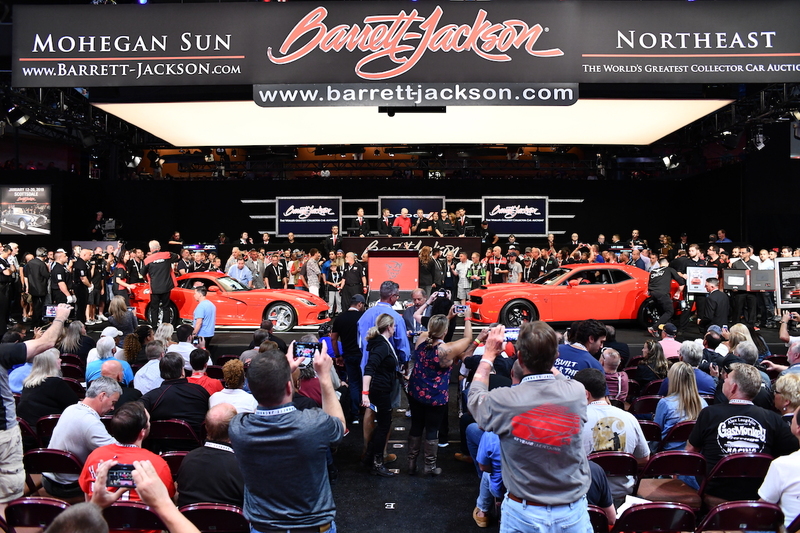 According to Barrett-Jackson, the sale of "The Ultimate Last Chance" raised the most money of any lot at the show this year. 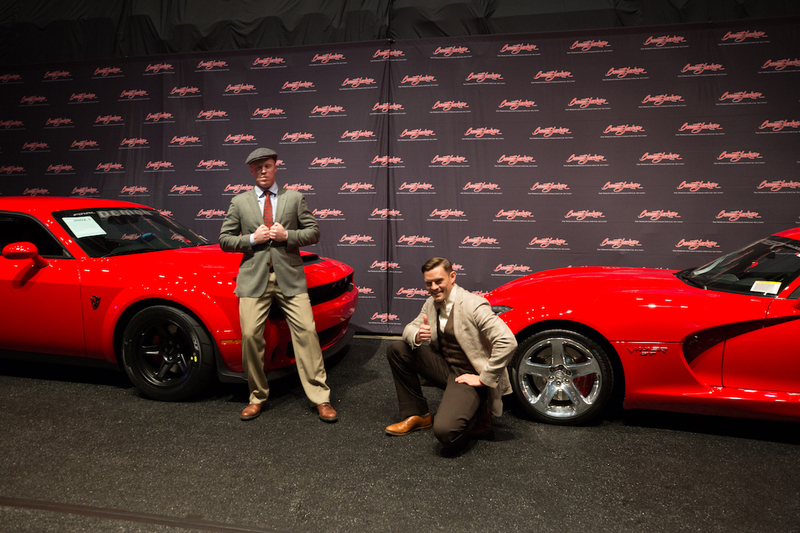 Five vehicles including Dodge's offerings were sold to benefit charities, raising $1.2 million in total. Thanks in part to these cars, Barrett-Jackson Northeast saw record sales this year, bringing in almost $27 million. 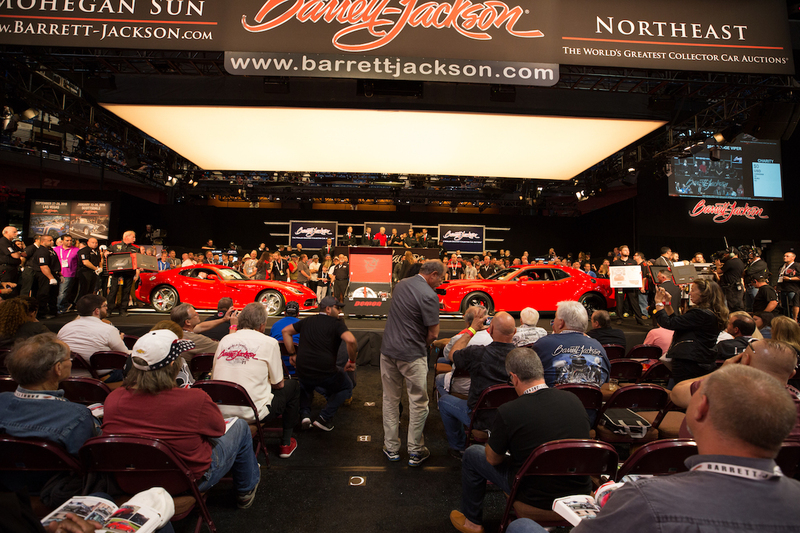 “We are honored that Dodge chose Barrett-Jackson for this historic sale of the last production Viper and Demon,” said Craig Jackson, chairman and CEO of Barrett-Jackson. “We’ve been fortunate to have many incredible moments on the auction block for charity sales over the years and this was another one." Who knew that these devilishly-fast cars named after a venomous snake and the spawn of Satan could do some good in the world? The wine-colored 720S was auctioned off to benefit the Naples Children and Education Foundation. Besides monetary donations, U.S. Ford dealers volunteered more than 50,000 hours to charitable causes. The campaign winner will be flown out to Austin for the U.S. Grand Prix and will get to ride shotgun in Lewis' AMG. All proceeds from the sale will be donated to hurricane relief in Puerto Rico.